Whether planning a fun birthday party for kids or looking for a creative way to celebrate with friends, an ice cream sundae party is a tasty way to kick off the summer season. From a myriad of ice cream flavors to a diverse range of toppings and sauces, the flavor combinations are endless and you can find everything you need at your local Foodtown grocery store! As you plan for your upcoming event, use these ice cream sundae party ideas to ensure a sweetly smooth day. Ice Cream: When it comes to an ice cream social, you can’t go wrong with the classics. Vanilla and chocolate are universal flavors that pair well with almost any topping imaginable. You may also decide to include a frozen yogurt or dairy-free variety so that even guests with dietary restrictions can join in on the fun. Here’s a tip: pre-scoop your ice cream into muffin tins and pop in the freezer until serving time to avoid a melty mess. 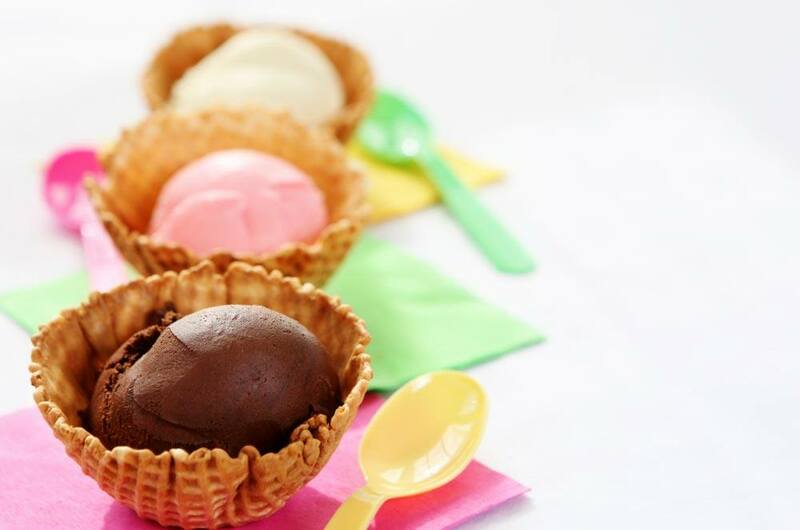 Bowls, Cones, and Beyond: Stock up on disposable bowls and utensils for easy cleanup or, opt for edible ice cream vessels. In addition to having a few boxes of ice cream cones on hand, cookies and donuts make for delicious ice cream sandwich options. You may also purchase a bottle of root beer or cream soda for delicious ice cream floats. Utilize these fun ice cream sundae party ideas and plan your party by stocking up on everything you’ll need at Foodtown. On top of your favorite ice cream brands at affordable prices, you’ll find a large selection of toppings and sauces, making for plenty of finger-licking concoctions. Begin planning your ice cream bar by locating the Foodtown supermarket nearest you. Sign up for your store’s Club Card to take advantage of ongoing savings and download our digital coupons to have savings downloaded right to your club card.